Labor day weekend was another one of those thousand mile weekends, or at least it felt that way. We needed to take our daughter back to the University of Minnesota and that always starts and ends with 300 miles each way. This is her third year and she knows the ropes, so the preparation going in was easy. Our plan was to fill the car-top carrier so we would have room for some items we left in River Falls at our nephew's place. Well, as many of you have experienced, when you're pulling a trailer or have a load on your roof, you tend to forget it's there. Anyhow, as I'm pulling into the parking garage at her dorm, my car-top carrier scraped the "not to exceed" height sign. I almost didn't notice, but my wife promptly let me know. "Stop, stop, stop!" You see, she's done this before, the hard way. She once entered a garage without one of these and on the way out ended up scraping the luggage rack for the entire distance. Ouch! After a few seconds, I back out of the garage, knowing full well, that the warning sign is forgiving, solid concrete is not so much. So I pull over down the block a ways and start formulating a plan, What to do? Empty the carrier and abandon it on campus for an hour while we unpack, seemed like an option. Given today's terroristic world though, it wouldn't take long for something that big and suspicious to attract the local Minneapolis Detonation Squad. "Hey, don't blow up my Ex-Cargo, dude!" A better option was to empty the carrier and then bring that into her dorm room. With it being student move-in day, I guess moving a large plastic container in a four wheeled cart doesn't attract undue attention - or the Detonation Squad. We probably looked a little like the Beverly Hillbillies go to College, but we got it done. Later that night, we recognized the 5 year passing of my brother Rob by going to the Spot Bar with my brother and two sisters in-law. He frequented the Spot, one of St. Paul's oldest bars, way back in the day. It's hard to believe he's been gone for 5 years already. 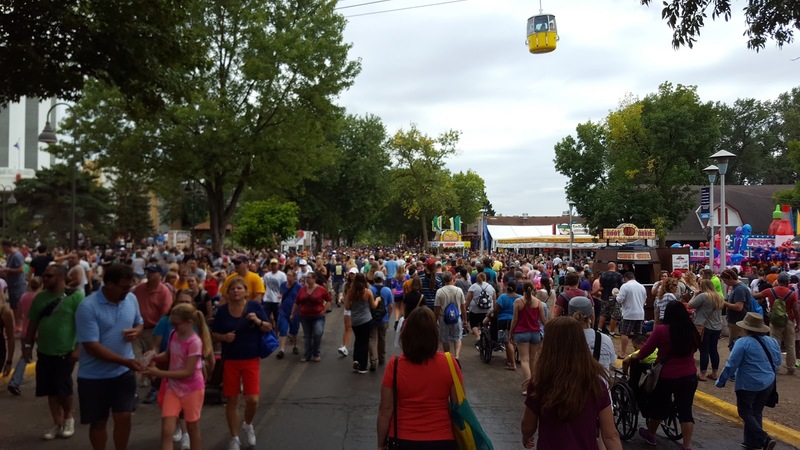 Then on Sunday we went to the Minnesota State Fair. I cannot say enough about how I love this event. It is every state fair you ever went to - but on steroids. The day we went there were about 230,000 other fairgoers that made for crowded conditions, but hey, that's the fair. Half of the fun is spectating and seeing all the people that shouldn't have left the house dressed like they were. As I said before, I go to the fair to feel better about myself. It works every time. As usual, we had all the favorites. Pronto Pups (Corn dogs with white batter instead of corn batter), Tom Thumb Mini-Donuts, and the family favorite deep fried Cheese Curds from the Mouse House. 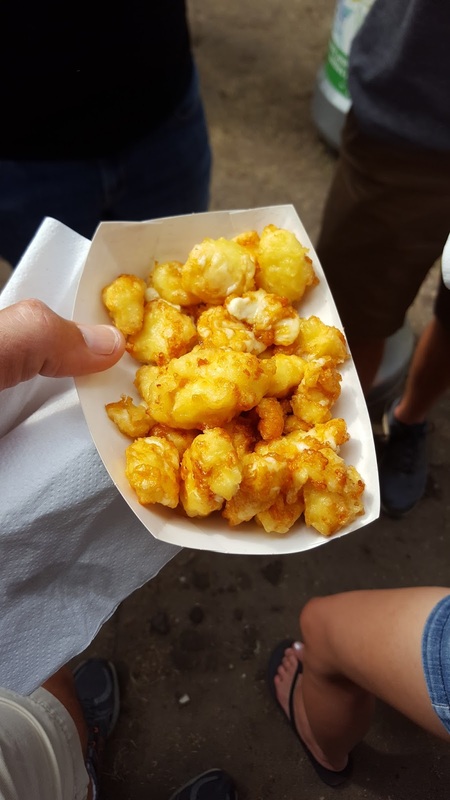 We always take flak from our friends back home in Wisconsin about how they can't be better than the ones at the Wisconsin State Fair. I have to say, I've yet to find any ANYWHERE that can compete with these. It is the highlight of the fair for us every year. Throw in some Labor Day traffic on the way home and, well, it was quite a weekend. 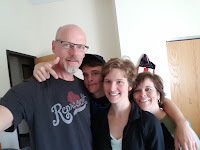 It was so good to see my daughter happy in her familiar surroundings at a place that holds such fond memories for me, an '85 U of Minnesota grad. I get so dang nostalgic walking around the campus and, later the state fair that I could definitely see myself moving back there someday. There's only three things holding me back from doing that.